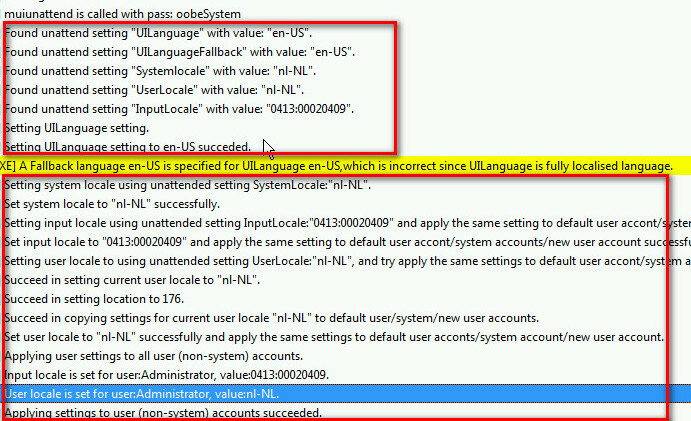 There is presently a potential issue in setting language settings using unattend.xml when deploying Windows 10 1703 Enterprise x64. The language values may not be set during the OOBE / specialize phase. Errors may be logged in setupact.log. The blog I have written will go through how I have approached the issue. Where I haven’t seen these problems. Windows 10 1703 Enterprise has now been available in VLSC since early May. Eager for deployment testing I’ve updated my production environment with a new deployment and in-place upgrade task sequence and upgraded a few IT staff PC’s which is going well. Display language not being set correctly – AGAIN! Extracted the Windows 10 1703 ISO and added to my MDT environment. Using my existing build and capture environment I performed a build and capture to create an updated wim file with the latest updates. My build environment is as follows. Please don’t use ADK 1703 presently it has a nasty secure boot bug. 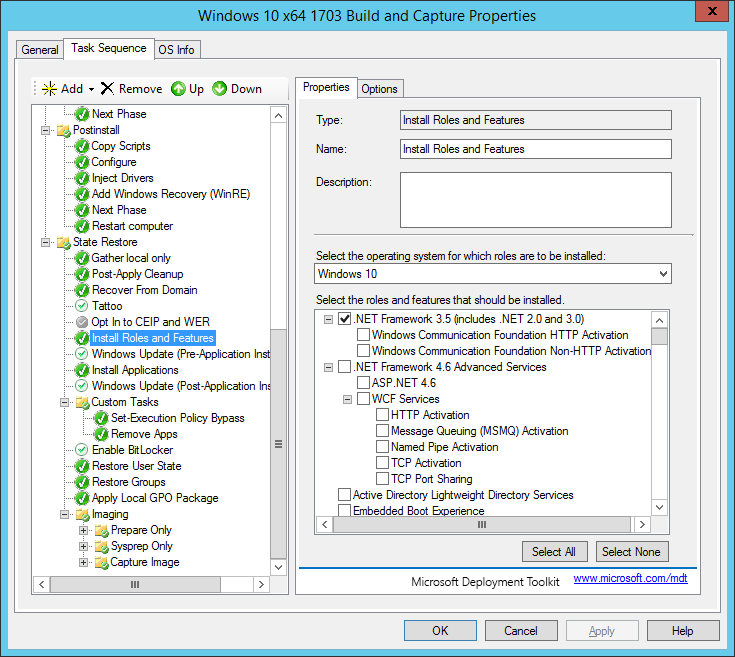 I’m then importing the captured wim into my Configuration Manager 1610 instance running ADK 1607 and MDT 8443. 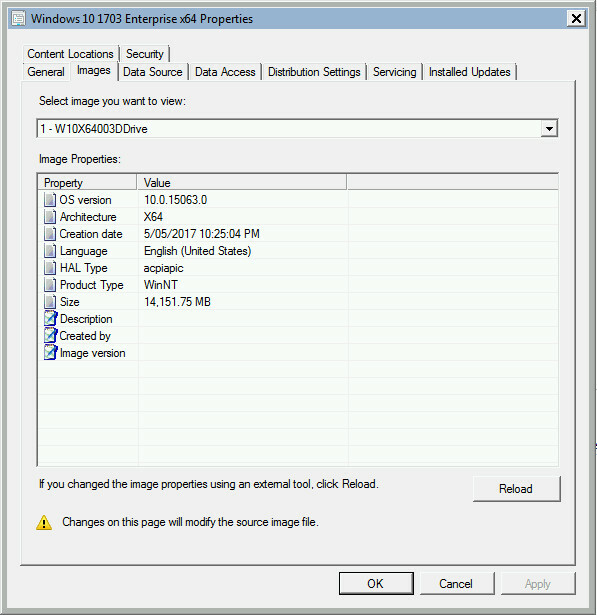 The Task Sequence I’m using is using MDT integration. 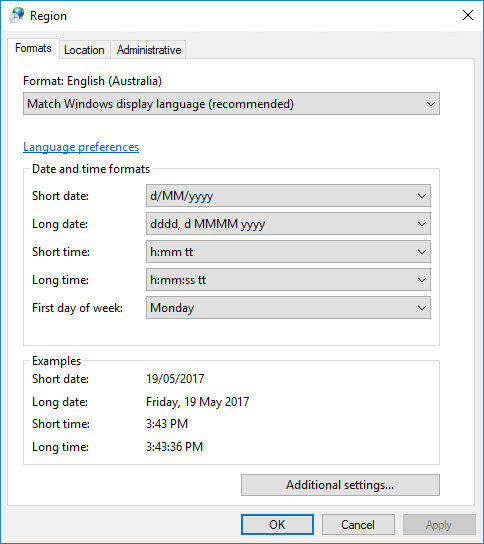 Windows 10 1703 appears to have made some significant changes in how Language is used. For my language pack to correctly be set as the display language and to avoid OOBE display language prompts my Unattend.xml file has the following settings. The main difference is that UILanguage needed to be changed to en-US. When I initially had this set to en-AU or en-GB it would fail to change it during the specialize / OOBE phase with 1703. To facilitate deploying Windows 10 1703, I’ve created two new packages. 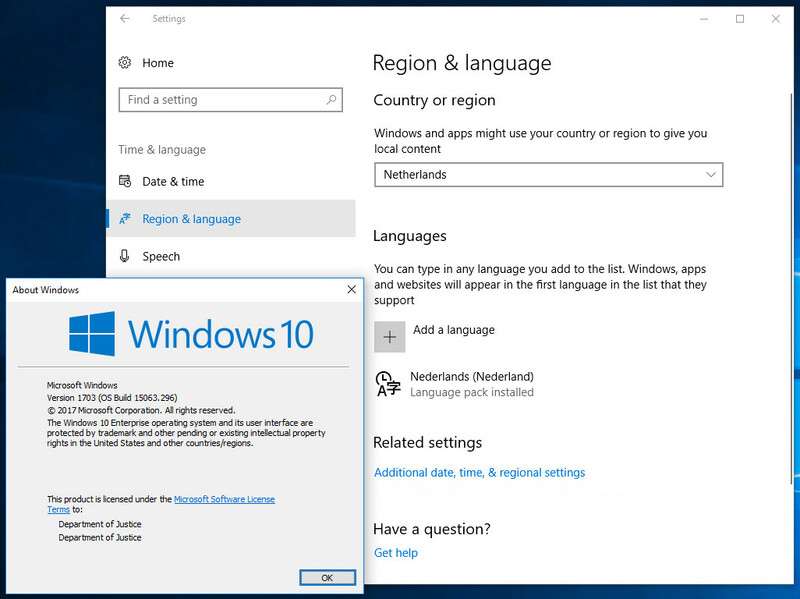 Windows 10 1703 Language Pack Package – This contains my language pack and additional feature on demand components to add text to speech etc support. 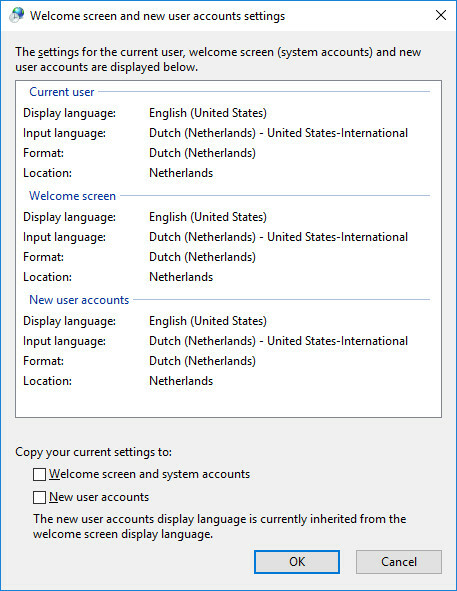 This is not needed if you just wish to add multi-lingual display support. For English (Australia) as per below. For Dutch as per below. If your modifying/copying an existing Task Sequence don’t forget to also update the package setting in the Apply Operating System Image step so that your updated Unattend.xml is used along with any Gather steps. To import the language pack I have done much the same as for 1607, just with referencing the new package. The results are as follows with English (Australia). 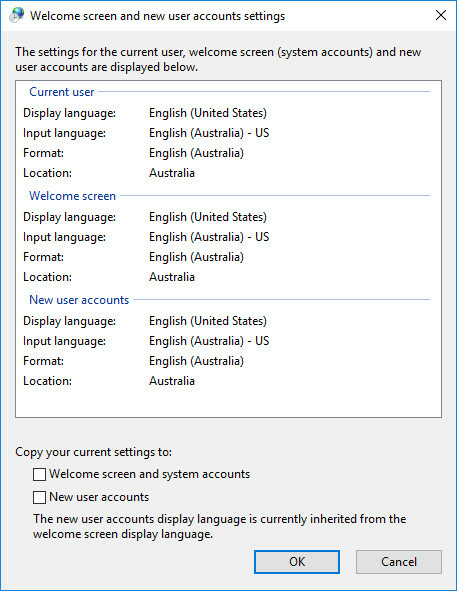 I have confirmed that Office uses English (Australia) and that browser spelling support both en-AU and en-US. For troubleshooting problems with language settings look at the UnattendGC.log that is located at c:\Windows\Panther\UnattendGC. 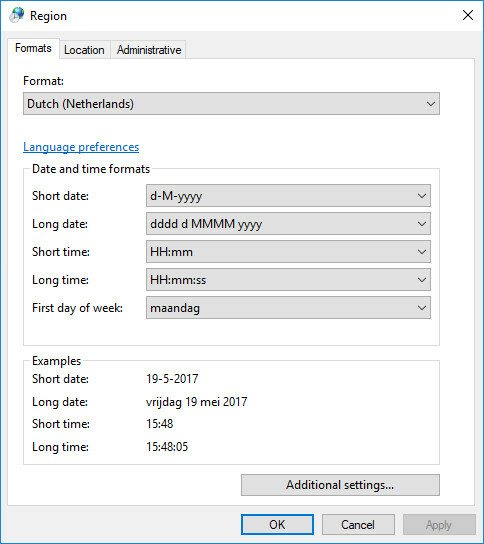 As an example where I have applied the Dutch nl-NL language pack you can see that the settings have been processed successfully and logged. great work. i was/am dealing with this issue in 1607, and in my 1703 test bench. I build my images the exact same way you do, so i should be able to follow this very easily for my fr-CA builds. Just wondering where you got the language pack ISO. 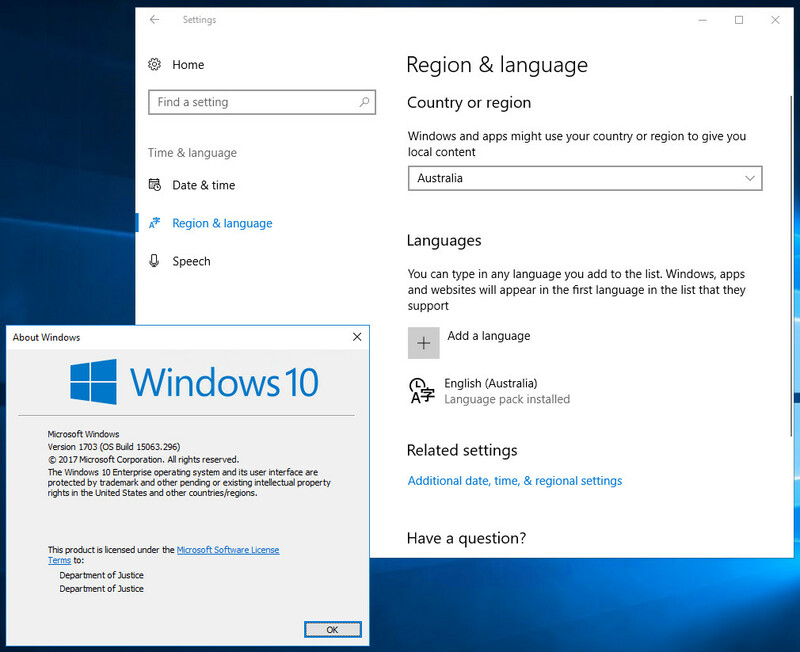 I’ve gone onto MS’s VLSC and all I can see is Windows 10 Language Packs (Released Nov ’15) 32/64 Bit Multilanguage. I have a access to MS Volume Licensing but this ISO is nowhere to be found.